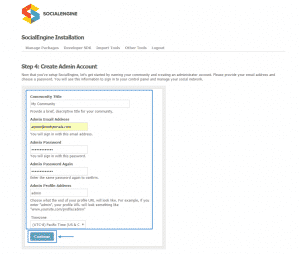 SocialEngine Tutorial: How To Install SocialEngine? 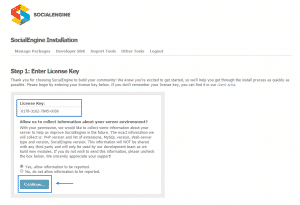 In this section of our SocialEngine tutorial we will show you how to perform the installation process. The application is appropriate for all of our hosting packages and you should only have in mind that once the members of your community grow in number you might need to consider an upgrade to a higher plan. Please have in mind that these requirements should be met in order to install the application and ensure its proper functioning. Let’s now proceed with the actual installation. 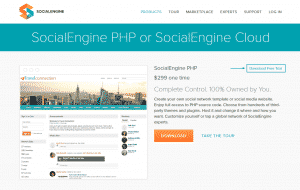 In our example we will show you how to download and install the trial version of the SocialEngine PHP application. Once you have downloaded the archive containing the script files you need to upload it to the root-folder of the application on your hosting account along with the license.txt file. You can find more information on how to achieve this here. Next you need to create a database following the instructions here. When you are done with these tasks you should extract the content of the socialengine48xx_trial.zip to the root folder of your website and access it via your favorite web browser. 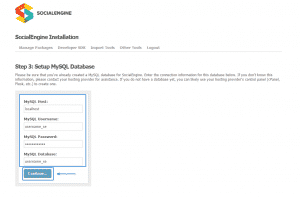 In case that you have placed the SocialEngine files in the public_html folder of your account you need to navigate to yourdomain.com and if you want to install it in a subfolder you should access yourdomain.com/subfolder. Community Title – this is the name of your website. Admin Email Address – this is the administrative email address for your application. It is important to enter an existing and valid one. 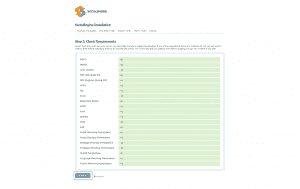 Admin Password – this is the administrative password for your website used for accessing the dashboard. Admin Profile Address – here you should determine how would the administrative URL of the website will look like.